With New York Fashion Week just around the corner - literally, it starts tomorrow! We cannot wait to see what our favourite designers have in store for us. But then again, we got thinking, what can we expect? Well this time around it might be a little bit different. First of all, many designers are leaving New York to show their collection at other fashion week destinations. Rodarte, Vetements and Kenzo have all jump shipped to Paris. And after this season, Proenza Schouler will also be moving to Paris, after calling New York their home for some time. Tommy Hilfiger, Rebecca Minkoff and Rachel Comey have all decided to move cross country to Los Angeles for their next shows too. The other major difference this season is that more than 40 designers have signed a campaign to back Planned Parenthood at the fashion event. The Council of Fashion Designers of America will show support to the women's non-profit organisation after being targeted by the new Trump administration. 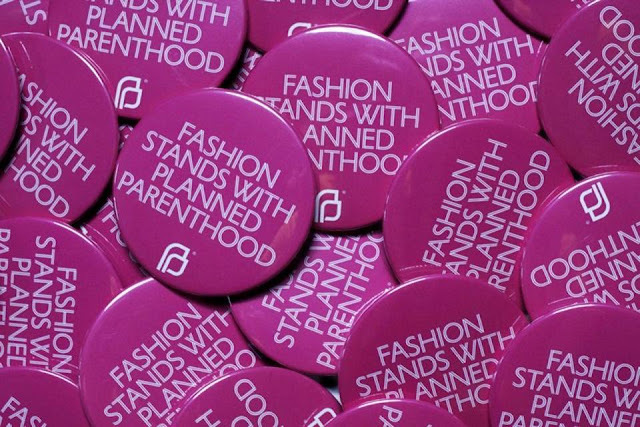 The designers, as well as front row attendees, and even models, will be encouraged to wear a 'Fashion Stands With Planned Parenthood' pin, accompanied with a social media campaign, #IStandWithPP. They will also be attaching cards to each badge with all the information on how to support the nonprofit. Designers taking part include; Diane von Furstenberg, Jason Wu, Kate Spade, Marchesa and Zac Posen - to name just a few. Will this be the only political statement we see? We don't think so, considering designers haven't been all too quiet when it comes to their opinions on the new White House. But as always, it sure will be one spectacular event.